Keshe Foundation Community - Advanced Forum Detail Topic - A Young Person's Thoughts. Topic: A Young Person's Thoughts. Solli Raphael doesn't pull his punches. "I don't think politicians have a good grasp on the world around them, other than their world," he says. "I feel like I have a voice for my generation to be able to stand up for issues that will affect us in the future." Solli isn't some ambitious young political staffer or think tank pundit. 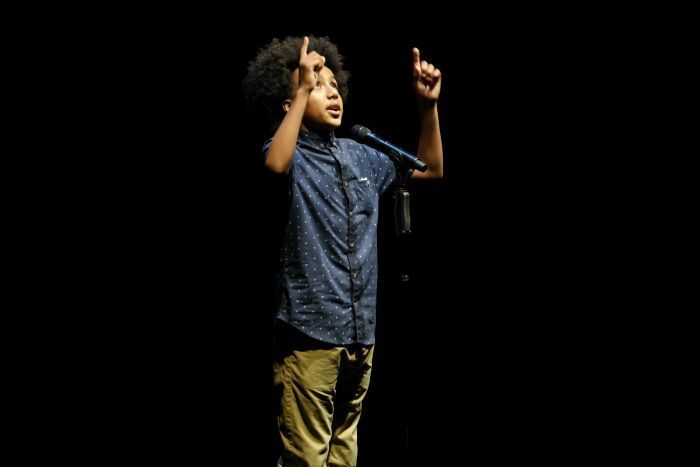 Instead, at just 13 he is officially Australia's champion slam poet, becoming the youngest ever winner at the national competition last year. And he is using his newfound platform to call out those who he sees as failing to lead and make the most of their power. He takes a dim view of the leadership spill that played out in Canberra last week and suggests there are few, if any, people in politics who are engaged with what really matters. "I think they're wasting time and they're wasting the public platform that they have," he said. "I think that everyone [in power] needs to know what they should be representing, because not many people in Australia or in the world are representing what they should be." The home-schooled teen from Coffs Harbour is becoming an increasingly familiar voice among young Australians. After winning the slam poetry championship he has since appeared at the TEDx Sydney conference and next week will release his first book — a collection of poems and his thoughts on writing, titled Limelight. His work grapples with significant issues, like race relations, the environment and the media, and he hopes it will "inspire social change and positive action". 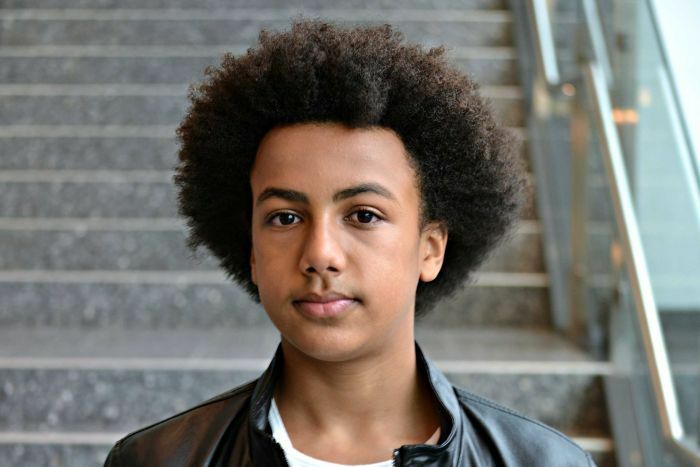 A video of Solli performing his poem Australian Air went viral last year, amassing more than 3.5 million views. This Australian air is polluted with choking from our own depression, and if we don't fight for our rights it's like mixing hemimorphite and pegmatite, so that you can think as fast as the speed of light. But if you're not speaking your own sight, even though you might despite the fright to be polite and rewrite how we should reunite we may as well do a plebiscite for if we should keep celebrating how the blacks were killed by the whites. Solli said Australia was struggling with race and how people viewed each other. "We need to rewrite our country and how we look at things because we do have a lot of conflict when it comes to all different things, when it comes to Aboriginals and our laws and our restrictions," he said. "[We need to] acknowledge the past and the future. I think we need to have a good focus on both." For Solli, slam poetry — a spoken performance of poems that is often emotive and emphatic — is a way to channel his feelings. "It allows me to be able to speak what I think and what my truths are and all the opinions about the world," he said. "I think it's really important that other people find that as well." He isn't the first young Australian to seize their moment and use it to challenge those in power. Last year Indigenous teen Aretha Stewart-Brown did the same — addressing tens of thousands of people who filled Melbourne's streets on Australia Day to call for the date of the national holiday to be changed. 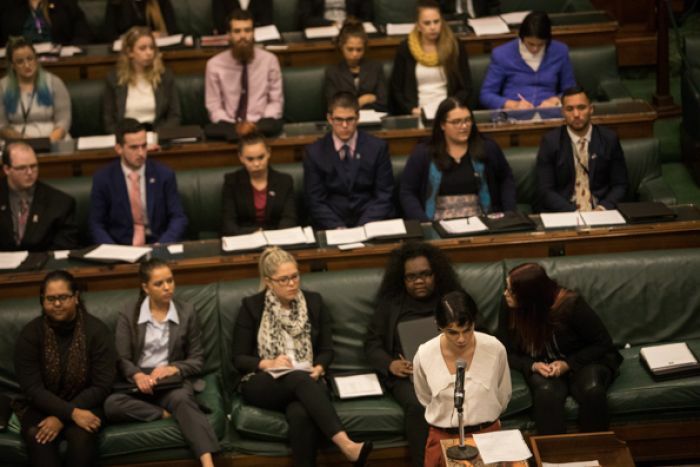 By May she had attended the National Indigenous Youth Parliament in Canberra, where she become the first woman to be elected Prime Minister as part of the program. Aretha made her intentions clear after that, saying she was "motivated to go and take my words and put them into actions" — and Solli said he is also considering what future leadership role he can assume. And he's not ruling out politics. "I'm thinking about it … you'll have to wait and see," he said.